The People's Republic of China and the Republic of Zimbabwe established diplomatic relations on April 18,1980, the Independence Day of Zimbabwe. Since then, the two countries have enjoyed stable and friendly ties. 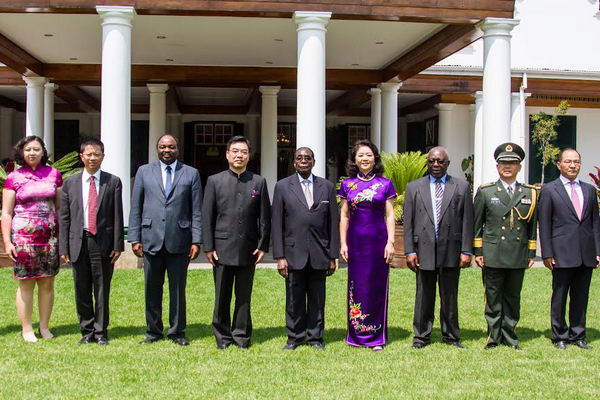 The Chinese leaders who paid visit to Zimbabwe are as follows: President Jiang Zemin (1996), State Councilor and Defense Minister Chi Haotian (1994), Vice Premier Zhu Rongji (1995), State Councilor Chen Junsheng (1996), Vice Chairman of the Standing Committee of the National People's Congress Xu Jialu (1999), Foreign Minister Tang Jiaxuan (2000), the Standing Member of the Political Bureau of the Communist Party of China Wei Jianxing (2002) and Vice Chairman of the National Committee of the Chinese People's Political Consultative Conference Wan Guoquan(2003). The Zimbabwean leaders who paid visit to China are as follows: President Robert Mugabe (1980,1981,1985,1987, 1993 and 1999), Vice President Muzenda (1996), Foreign Minister Mudenge (1996), the Speaker of the Parliament Mnangagwa (2001), the National Chairman of Zanu-PF Nkomo (2001) and Minister of Justice, Legal and Parliamentary Affairs and the leader of Zanu-PF in the Parliament Chinamasa(2003). 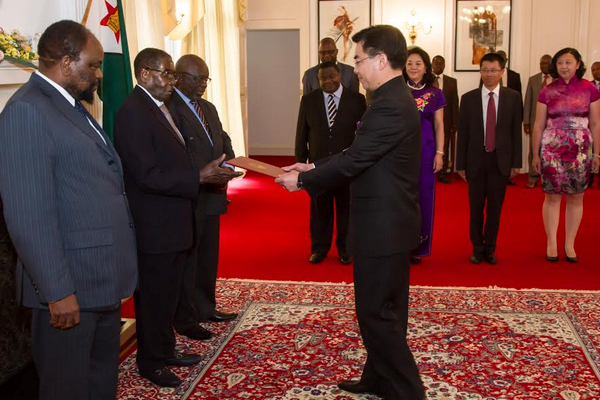 The governments of China and Zimbabwe have signed agreements on economic and technical cooperation, trade, investment protection. A joint economic and trade commission between the two nations has also been set up. 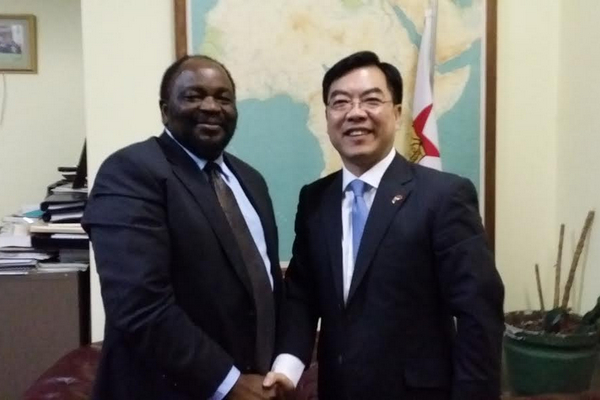 Since the establishment of diplomatic relations, China has rendered assistance to Zimbabwe in the construction of Harare stadium, hospitals, dams, school dormitories, wells and clothing factories, etc. With the support of the buyer's credit by the Export- Import Bank of China, the China Capital Iron and Steel Corporation took part in the reconstruction of No.4 blast furnace of Zimbabwean Iron and Steel Corporation. The project was completed in June 1999. The trade volume between the two countries in 2002 was 191 million U.S. dollars. The export of China to Zimbabwe totaled 32 million U.S. dollars and import 159 million U.S. dollars. 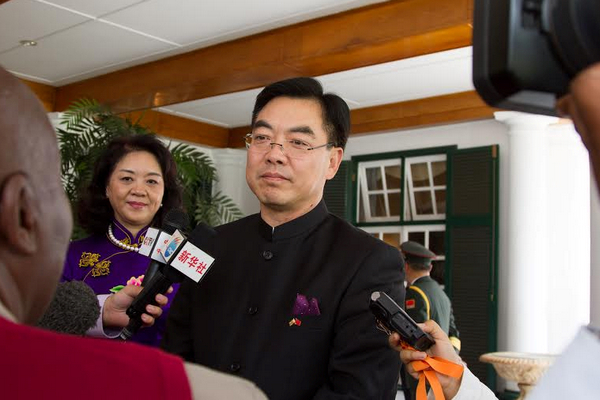 China and Zimbabwe have signed a cultural agreement and a protocol on higher education cooperation. 11 Zimbabwean students are now studying in China. 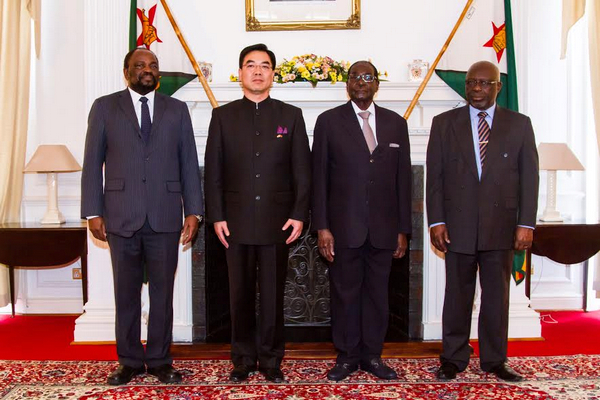 At present, China has 3 teachers and 9 medical personnel working in Zimbabwe. China began to send medical teams to Zimbabwe in 1984. The Government of the People's Republic of China and the Government of the Republic of Zimbabwe, in conformity with the interests and desire of the two peoples, have decided to establish diplomatic relations at ambassadorial level between the People's Republic of China and the Republic of Zimbabwe effective from April 18, 1980.